The Charles F. Street Memorial Trophy was presented by the New England Yacht Racing Council in memory of Mr. Street, a strong supporter of Junior sailing. 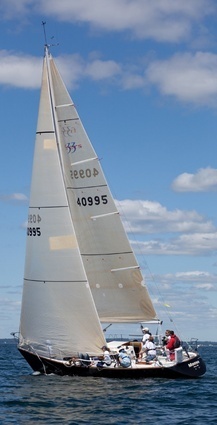 He was former Secretary-Treasurer of the Council and past President of the Narragansett Bay Yacht Racing Association, an active competitor all his life and a yacht designer by profession. The Street Trophy is emblematic of the Junior Doublehanded Championship in Area A.